Lymphoma is a type of cancer affecting the human lymphatic system, a part of our immune system. The development of lymphoma begins when a type of white bold cell, lymphocytes commence to divide in an uncontrolled manner. Although there are two chief kinds of lymphocytes, T lymphocytes and B lymphocytes, B cells tend to be responsible for most lymphomas. Diffuse large B-cell lymphoma (DLBCL) develop from B cells that are abnormal, larger sized cells which are different from healthy, normal B cells. These abnormal cells spread out diffusely all over the tumor, wiping out the lymph node’s normal structure. More than 4,800 people in the U.K. are diagnosed with diffuse large B-cell lymphoma every year, according to the U.K. Lymphoma Association. The disease can occur at any age, affecting children as well. However, the aged population is at a higher risk of developing diffuse large B-cell lymphoma. Several patients initially notice painless lumps, usually in their neck, groin, or armpit. Apart from this, loss of appetite, itching, and fatigue are also some other common symptoms. The continuous development of novel treatments and drugs for treating diffuse large B-cell lymphoma via research and development is assisting the growth of the global diffuse large B-Cell lymphoma market. For instance, in May 2017, it was announced that a rare sub-type of DLBCL, primary mediastinal B-cell lymphoma, can be treated through the use of pembrolizumab, a PD-1 inhibitor. An evaluation of 18 participants with diffuse large B-cell lymphoma under KEYNOTE 013 revealed the safety and efficacy of pembrolizumab. Diffuse large B-cell lymphoma (DLBCL) is the most common form of non hodgkin lymphoma (NHL) and is the main reason behind more than 30% of the newly diagnosed cancer cases in the U.S. alone. The prevalence of this disease is increasing at an alarming rate, which is likely to fuel the demand for DLBCL treatments substantially in the near future, leading to a considerable diffuse large B-Cell lymphoma market growth. This research report offers a detailed evaluation of the global diffuse large B-Cell lymphoma market on the basis of its current and historical performance. 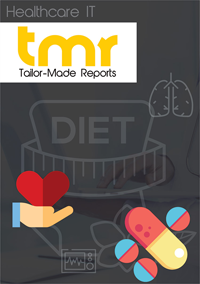 The prominent trends, growth drivers, challenges, opportunities, and the future prospects of this market have also been examined thoroughly while conducting this study. The main objective of this study is to assist the market participants in gaining a clear and deep insight into this market. The increasing incidence of DLBCL has fueled the demand for efficient therapies for its treatment across the world. With the ever-rising global geriatric population, the scenario is likely to remain more or less similar over the forthcoming years. In addition, the presence of a robust last stage pipeline of drugs ready for clinical trials and the increasing expenditure on healthcare are expected to boost this market tremendously in the years to come. At present, the most efficient treatment for DLBCL available across the world is combination therapy that includes chemotherapy and monoclonal antibody-based drug Rituxan (rituximab). However, the development of other drugs is also taking place at a swift pace, with many of them being in various late-stage clinical trials. Alisertib (MLN8237), Bortezomib (Velcade), Brentuximab vedotin (Adcetris), Everolimus (Afinitor), Lenalidomide (Revlimid), Panobinostat, and Vorinostat (Zolinza) are some of the key pipelined projects, approval of which will gain advantages for this market in the forthcoming years. North America, followed by Europe, has surfaced as the leading contributor to the global diffuse large B-Cell lymphoma market, thanks to the high prevalence of DLBCL, rising awareness level of people, and their increased disposable income. However, Asia Pacific is likely to emerge as the most promising regional market in the coming years. The strengthening economy and the improving healthcare infrastructure in this region are expected to act as the key driving force behind the growth of the Asia Pacific diffuse large B-Cell lymphoma market. Some of the major players operating in diffuse large B-Cell lymphoma market are Amgen, Inc., AstraZeneca plc, Astellas Pharma, Inc., Bristol-Myers Squibb Company, F. Hoffmann-La Roche Ltd., GlaxoSmithKline plc, Gilead Sciences, Inc., Genentech, Inc., Infinity Pharmaceuticals, Inc., MedImmune, LLC, Merck & Co., Inc., Novartis AG and Sanofi.